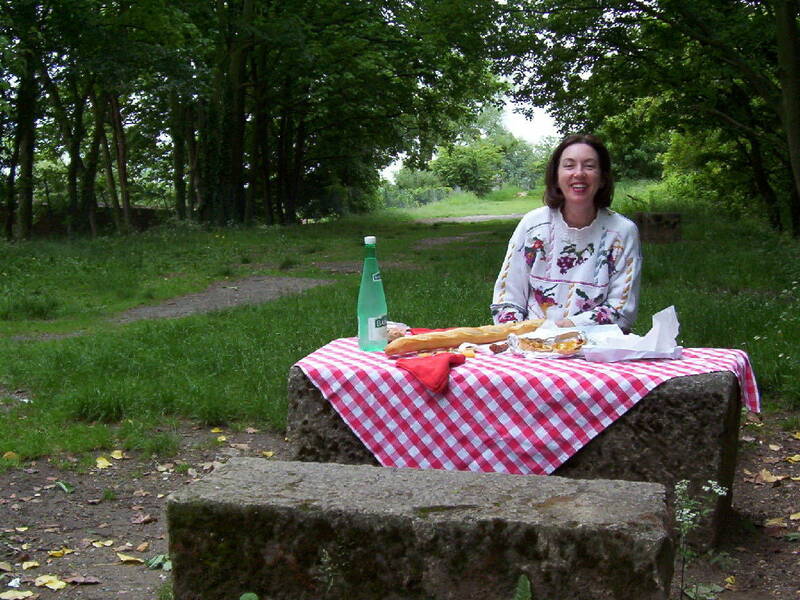 Having left the hustle and bustle of Paris behind, Bob and I next planned to spend a few days in the countryside. 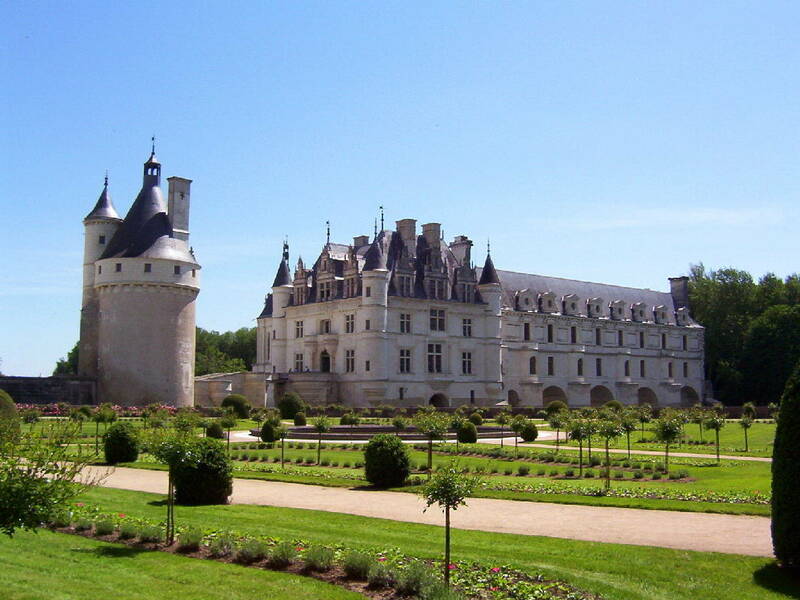 On our list of must-sees were some of the Loire Valley Castles such as Château de Chenonceau, seen above, as well as Monet’s Garden in Giverny and a tour of the Palace of Versailles. 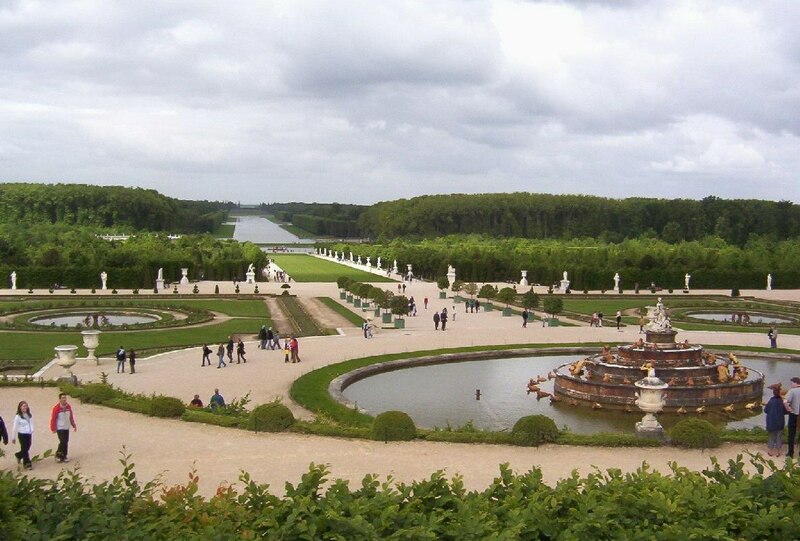 First up was the Palace of Versailles, a suburb of Paris. One full day was spent touring the magnificent edifice, barely visible at the top of this photo, and its sprawling gardens and grounds. Rented bicycles were a benefit when covering so much ground before we moved on to Giverny. In order to appreciate Monet’s Garden at its best, we were up at the crack of dawn the next day to take advantage of the early morning light. 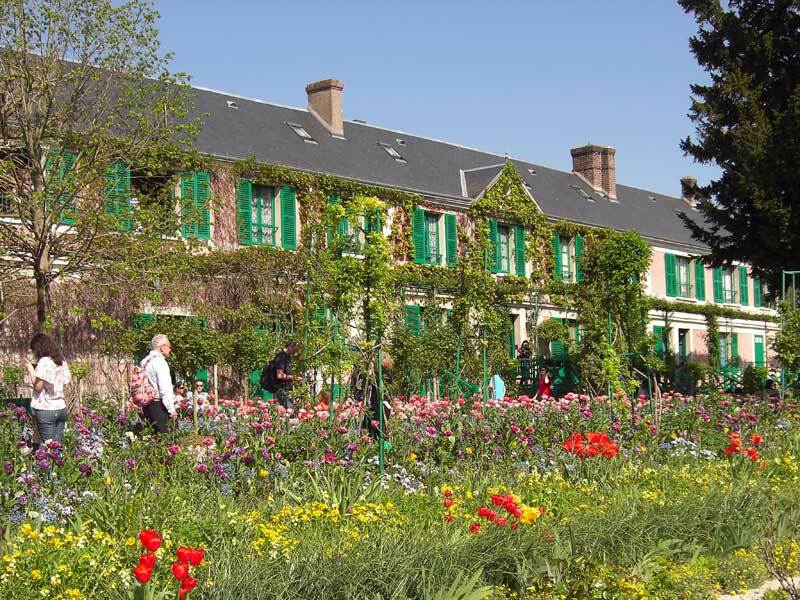 We blissfully toured the gardens for a few hours then were ready to make our way into the Loire River Valley. Bob and I loved the bucolic atmosphere surrounding the many villages along the way and set a relaxed pace for the remainder of the day. 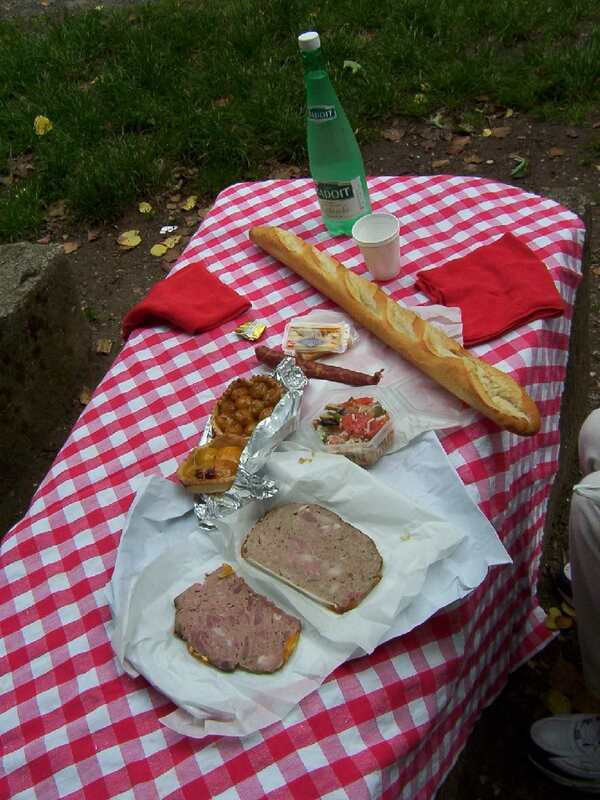 First, we had to reckon with our grumbling stomachs so laid plans for a picnic. 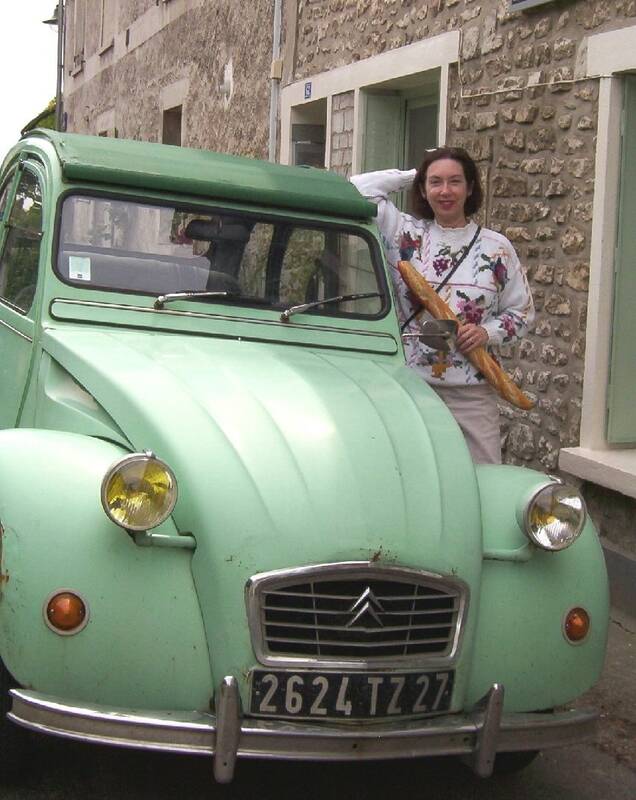 Each hamlet is home to a local boulangerie, a favorite patisserie and a well-stocked boucherie, so we whet our appetites by dropping into a quaint boulangerie to buy a freshly-baked baguette, then it was on to some of the other shops for other delectable selections. 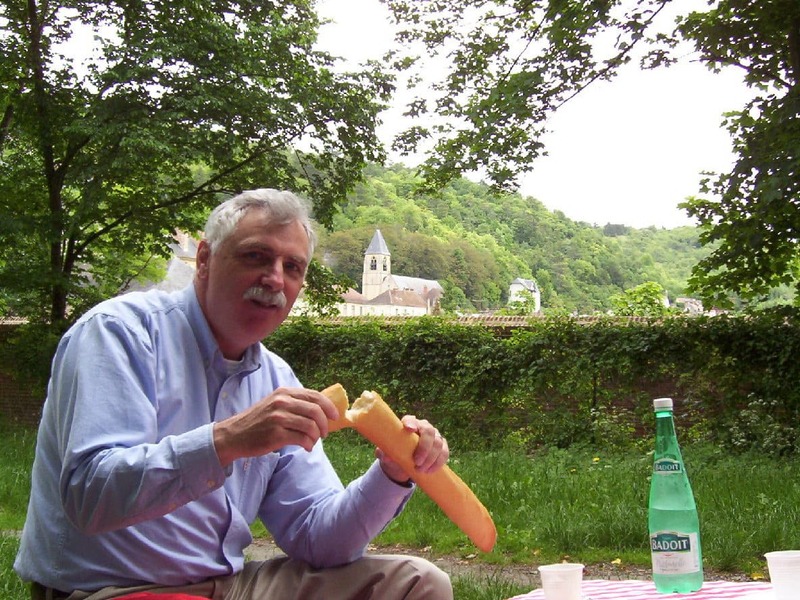 Designated picnic grounds are nowhere to be found in the French countryside, which made the prospect of an old-fashioned pique-nique all that more serendipitous. I was delighted when we happened upon the perfect location to lay out our wares. A small spread of savoury terrines, rich pates, vegetable salad and fruit tarts rounded out the offerings that would typically fill a French picnic basket. and even afforded a perspective on the distant Seine River. 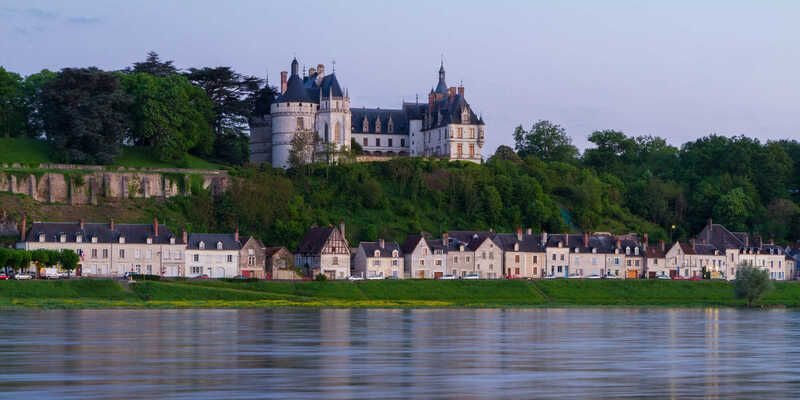 It didn’t take long before we entered the region known as the Valley of the Kings where some of the most recognized and famous castles in the country are found along the banks of the Loire River. Château de Chaumont is the first castle we happened upon. 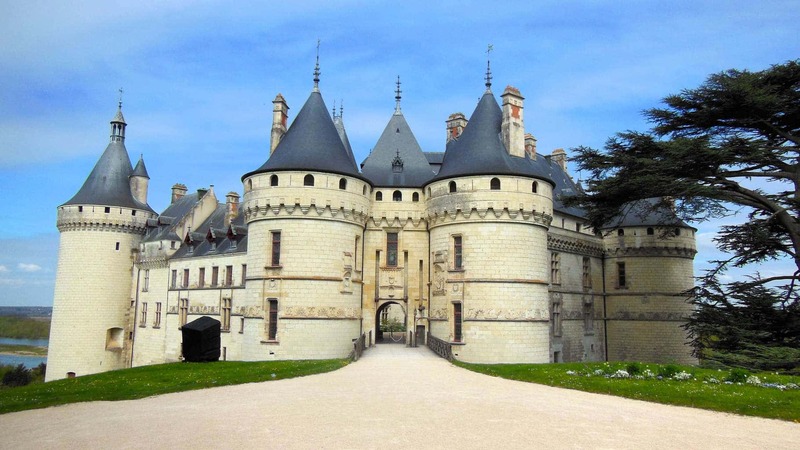 Château Chaumont sur Loire is perched on a high hill above the Loire River in the community of Chaumont-sur-Loire. 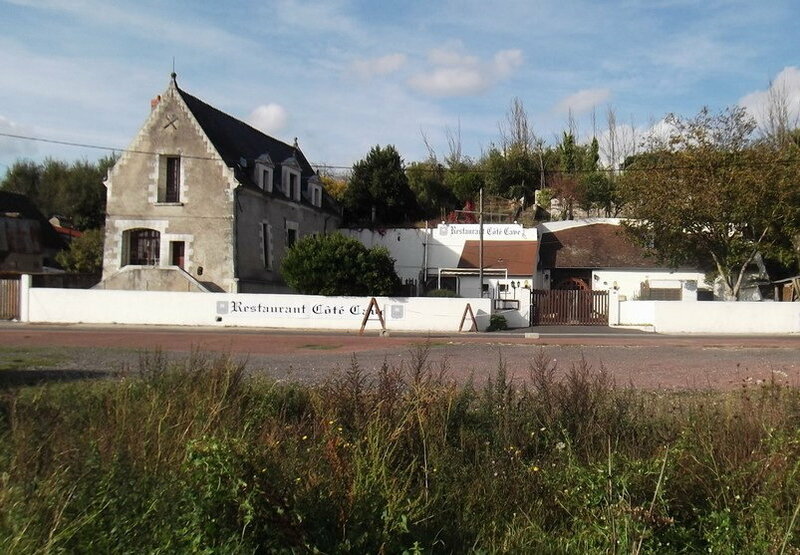 Here, it is viewed from the north bank of the Loire River. 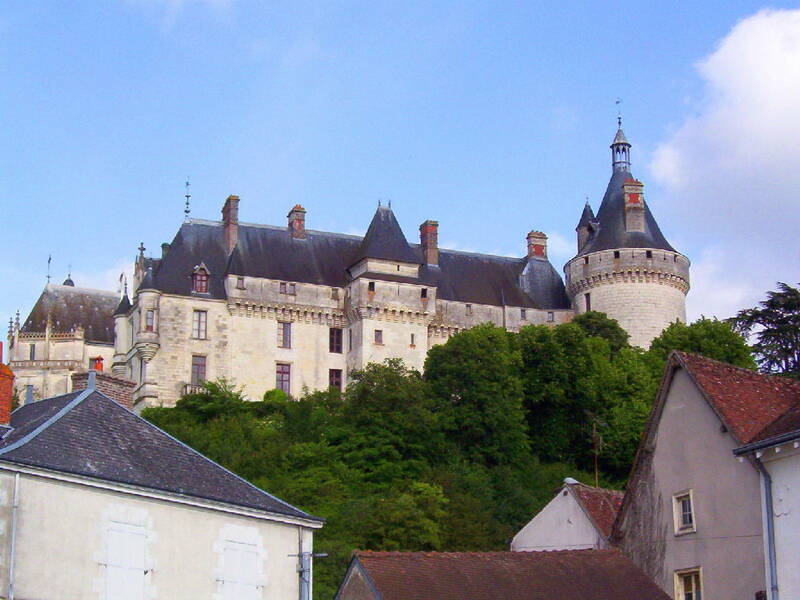 Château Chaumont sur Loire was founded by Odo I, Count of Blois, in the 10th century. As with most ancient fortifications, this castle saw its share of modifications and even faced destruction. 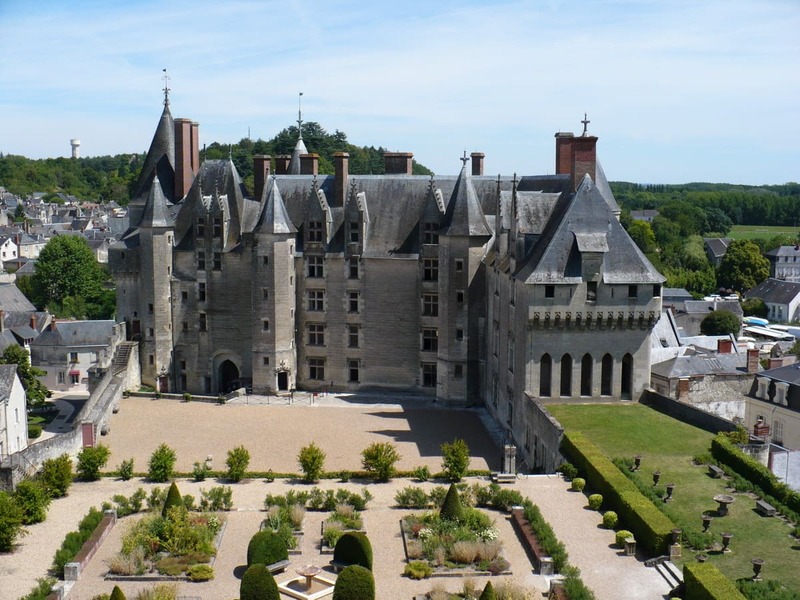 It wasn’t until the 15th century that Charles I d’Amboise rebuilt Château Chaumont. 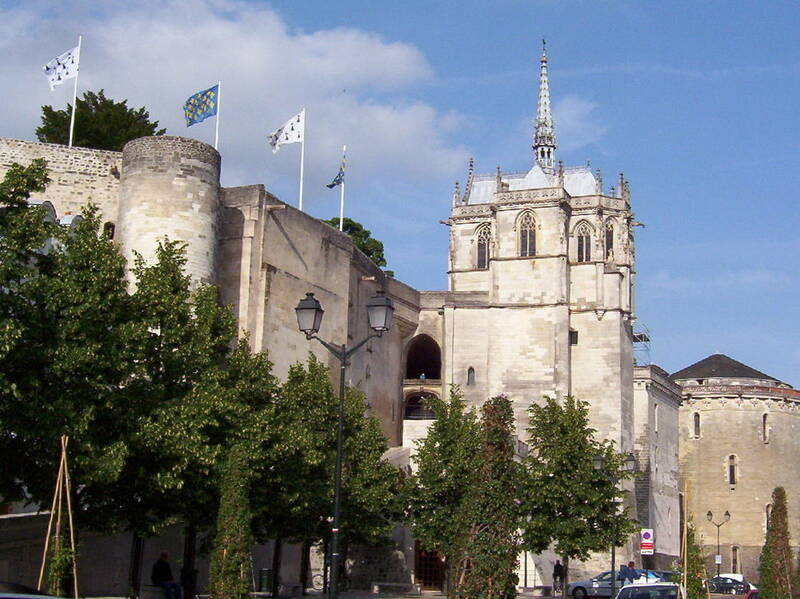 Now a museum, it is considered one of France’s most handsome medieval castles. 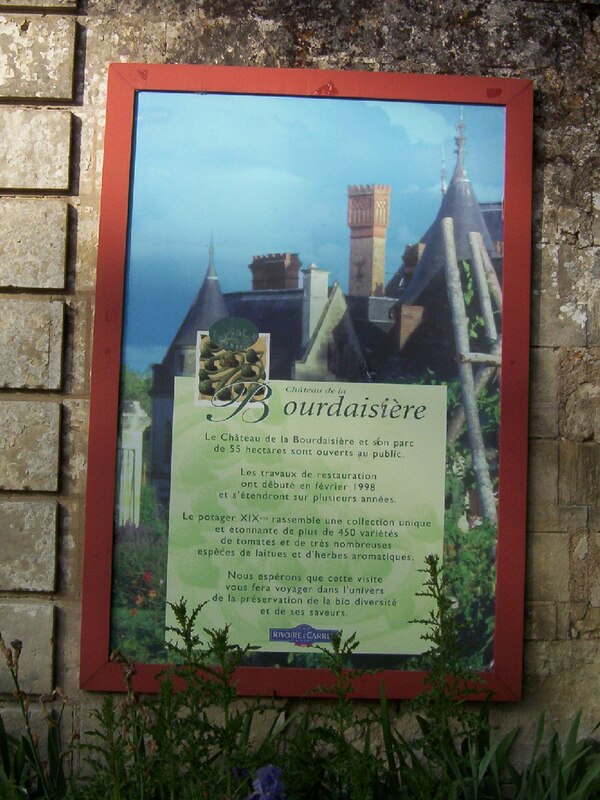 With my heart set on spending a night or two in a castle, an impromptu inquiry at a small roadside information kiosk led us to Château Bourdaisiere. Also located in the Valley of the Kings, the castle fulfilled my every dream when it comes to elegant accommodation steeped in history. Bob and I thoroughly enjoyed sightseeing in the Loire Valley where the countryside is randomly dotted with renowned castles. 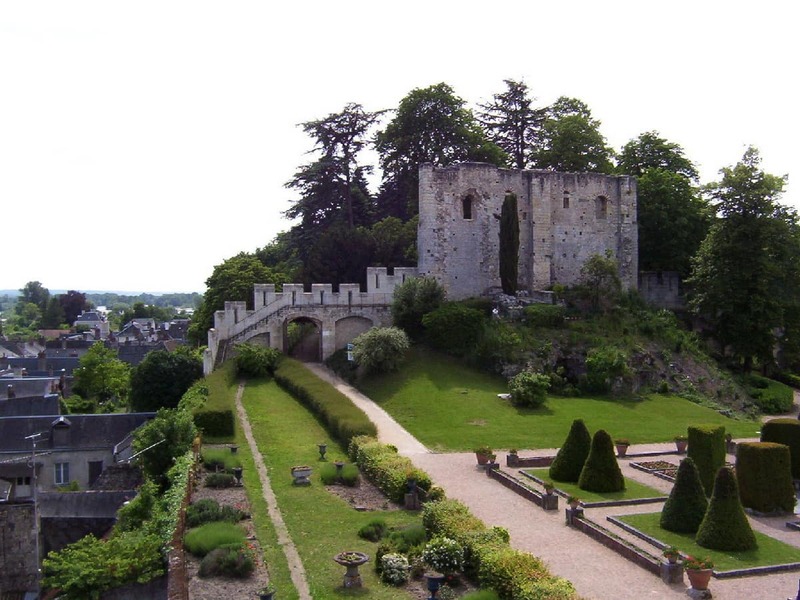 It is, in fact, referred to as Châteaux Country because of the many evocative castles in its region. 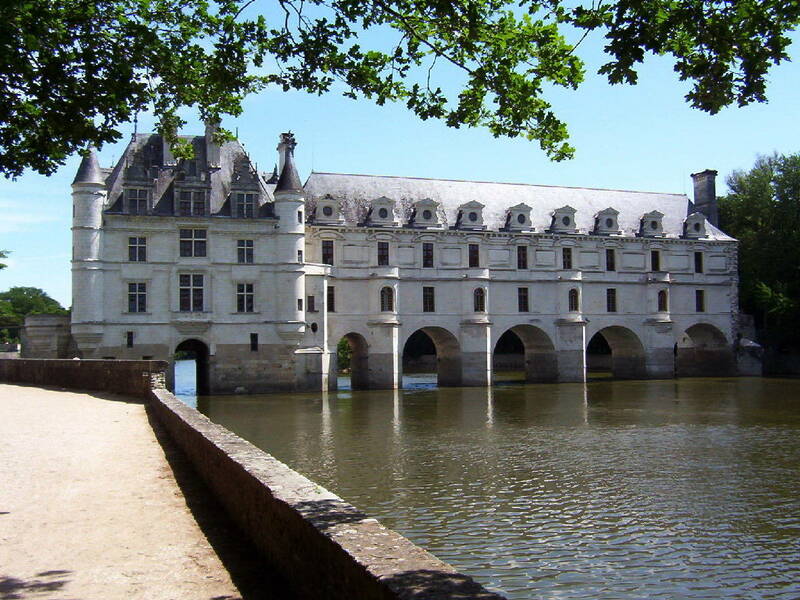 As we made our way back towards Paris, we took a little time to check out this remarkable castle, Château de Chenonceau, a stronghold that impresses with its grand gallery atop an arched bridge. 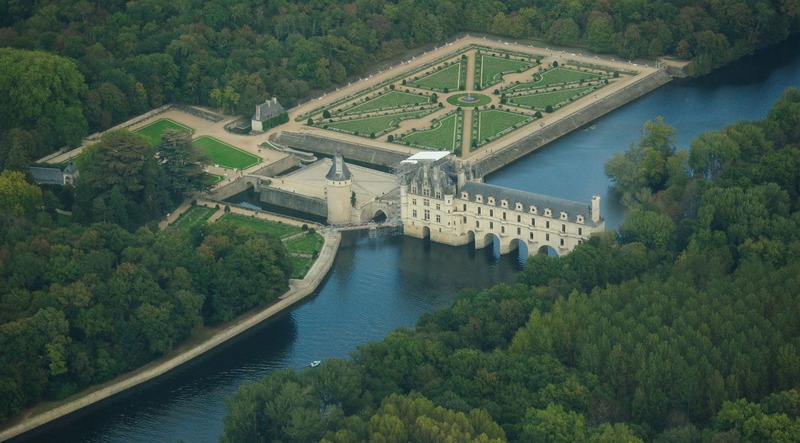 Dating back to 1514, Château de Chenonceau still retains some small vestige of its original architecture in the form of the medieval keep on the west side of the river. Having changed hands several times over the centuries, the castle was either torn down and rebuilt or modified to suit the new owners. One such enhancement was the arched bridge built to connect both banks of the River Cher. 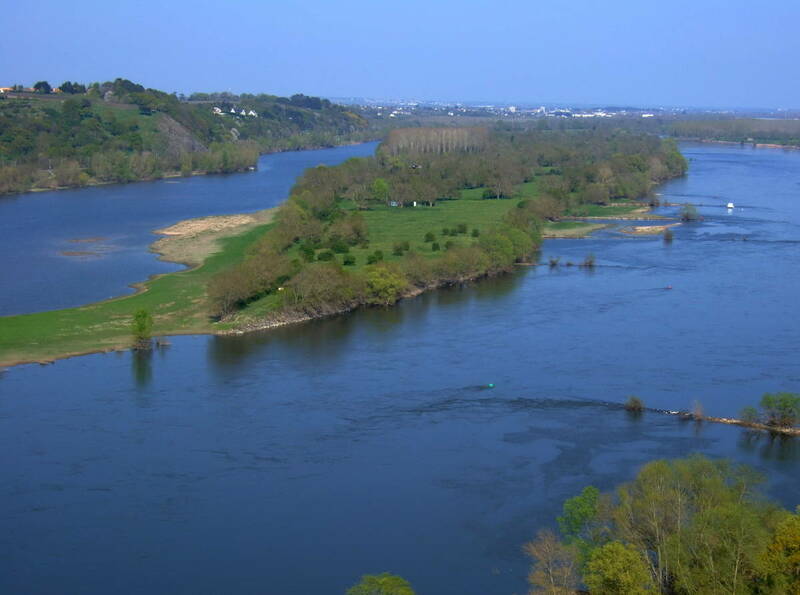 The Loire River is the longest river in France, and in November 2000, a large section of the Loire River Valley was declared a Unesco World Heritage Site because of its historic towns, architectural heritage and world-famous vineyards. Bob and I had to pick and choose which to explore, while other sights were merely appreciated in passing. 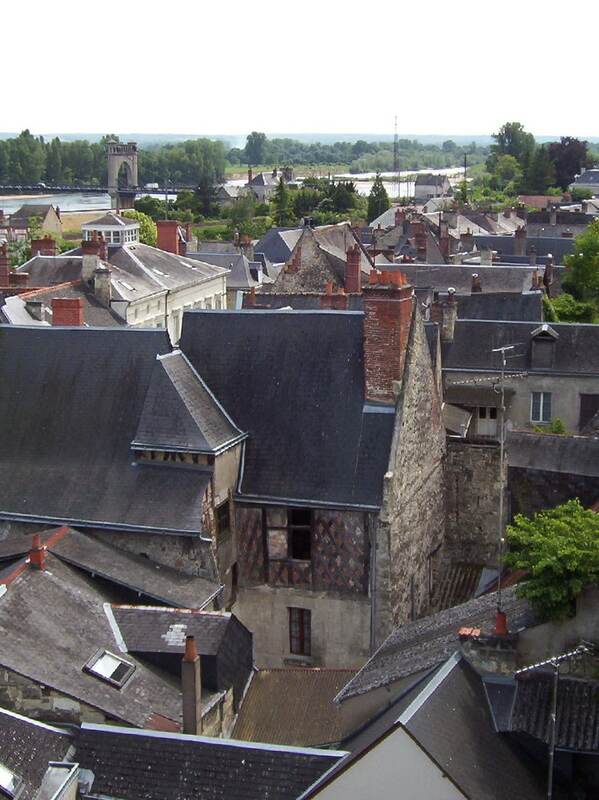 Of interest to us was Château de Langeais, a medieval castle built where the Roumer River enters the Loire Valley. 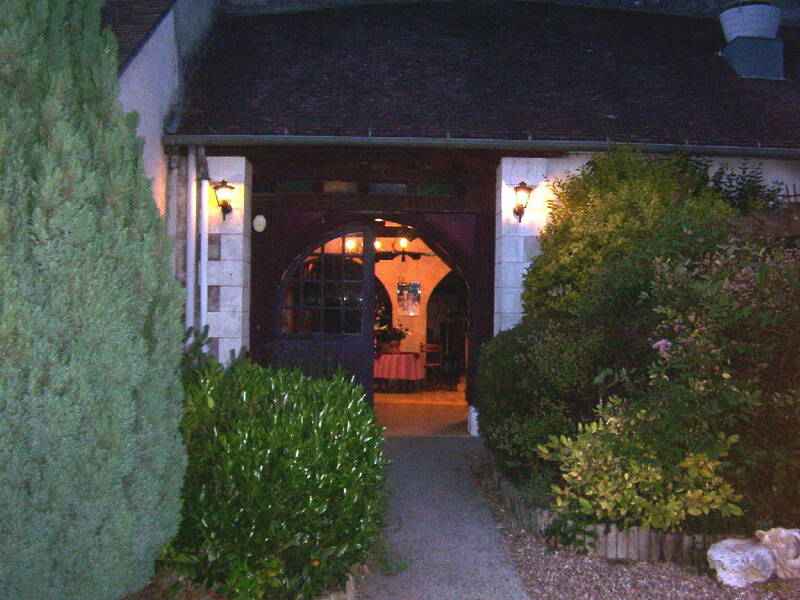 The Château actually consists of two buildings at opposite ends of an immaculately groomed courtyard garden. One building, this Castle, built in 1465 by King Louis XI after the Hundred Years War, has two differing facades. The village people are met with a strong, fortress-like appearance on the facade that forms part of the streetscape in the middle of town, whereas the interior facade on the garden side has a Renaissance feel to it. It is this Castle that is known as a marvelous example of late medieval architecture. Of special note are the very tall and richly decorated chimneypieces. At the opposite end of the formal gardens sits the second building, Foulques Nerra Tower or what remains of it. Dating to 994, it is the oldest stone Keep in France. This fortified residence constructed within the original castle walls was built in haste by Fulke Nerra, Count of Anjou, whilst trying to thwart multiple sieges by Odo I, Count of Blois. It was the shallow foundation and thin walls of the Keep that inevitably led to its short lifespan. 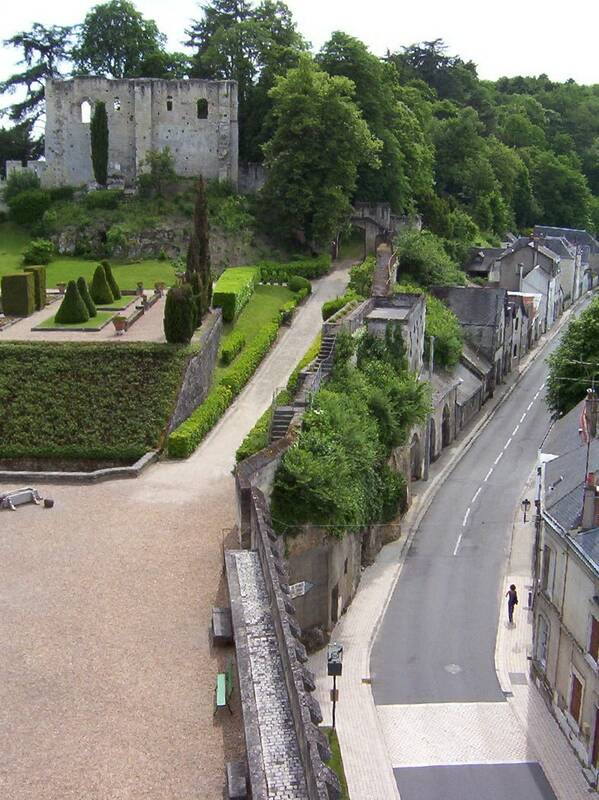 Here we see the northeast face of the remaining walls of the Keep with a view to the village streets of Langeais below. 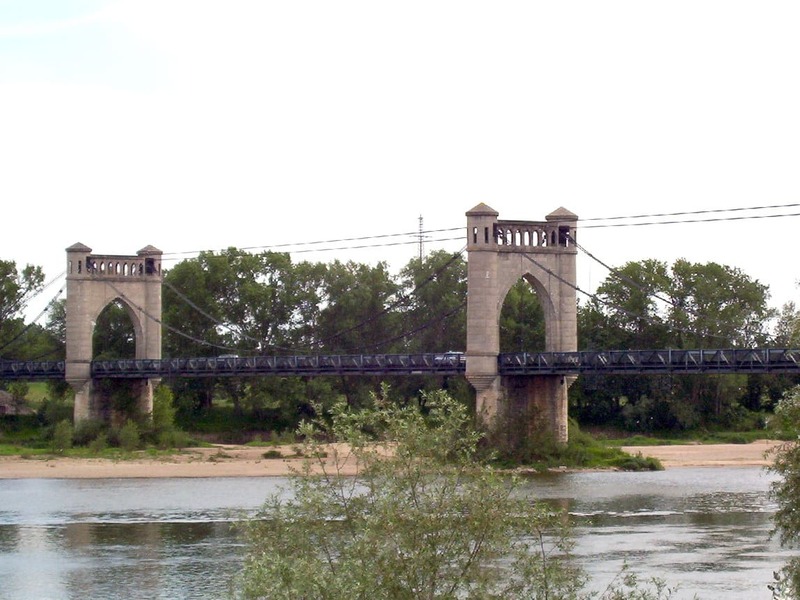 and the multi-span suspension bridge across the Loire River. Bob and I motored in the direction of Paris over the course of the afternoon and with each passing mile, we were awestruck by the grandeur that unfolded before us. 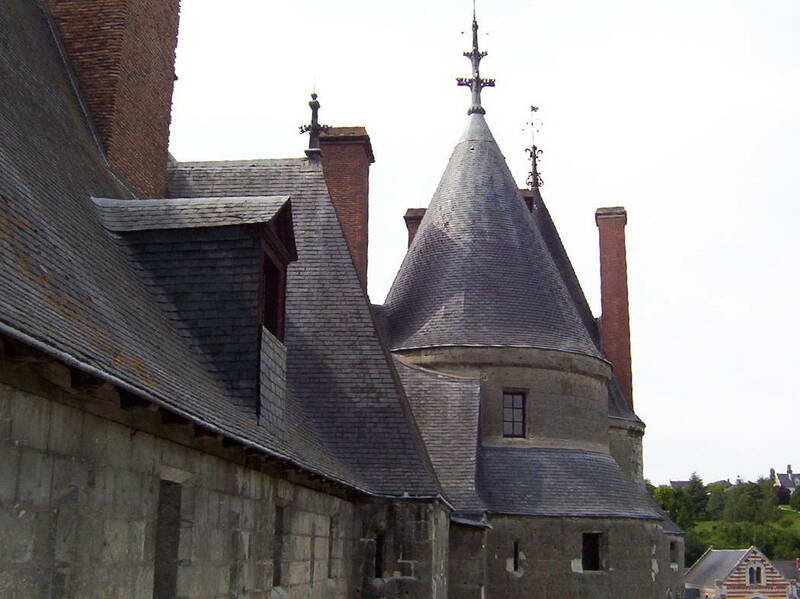 Take, for example, Château Royal D’Amboise. 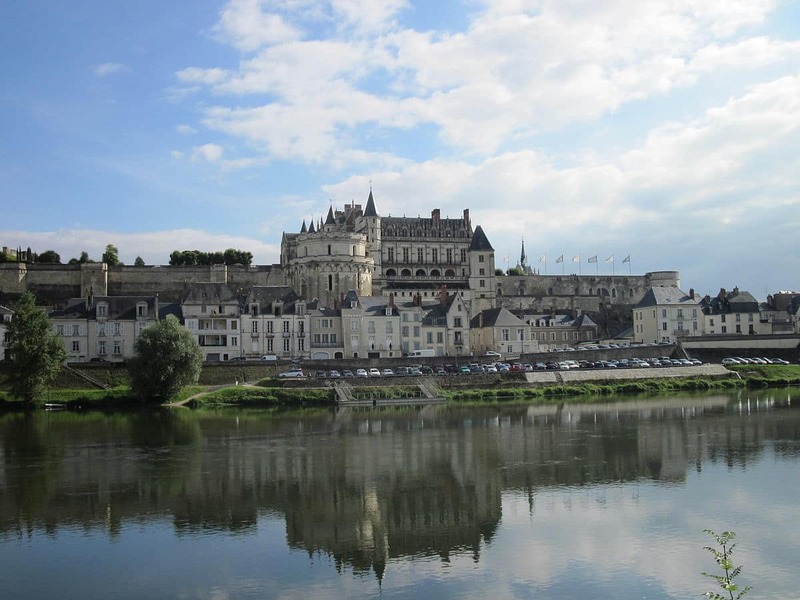 Rising above its town, the Château is spectacularly reflected in the Loire River. We could see why it became a favorite residence of the royals. 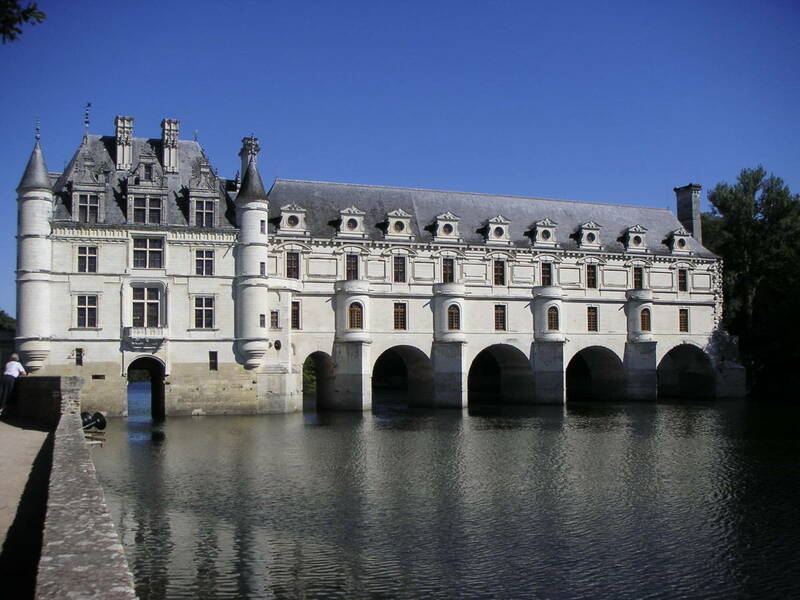 It was in the 15th Century that the monarchy took over Château d’Amboise, and despite previous expansions and improvements, Charles VIII decided that the castle required extensive rebuilding. The Castle achieved the peak of its grandeur after that before falling into disrepair after Charles’s death in 1498. It has since been restored and is recognized as a historical monument. 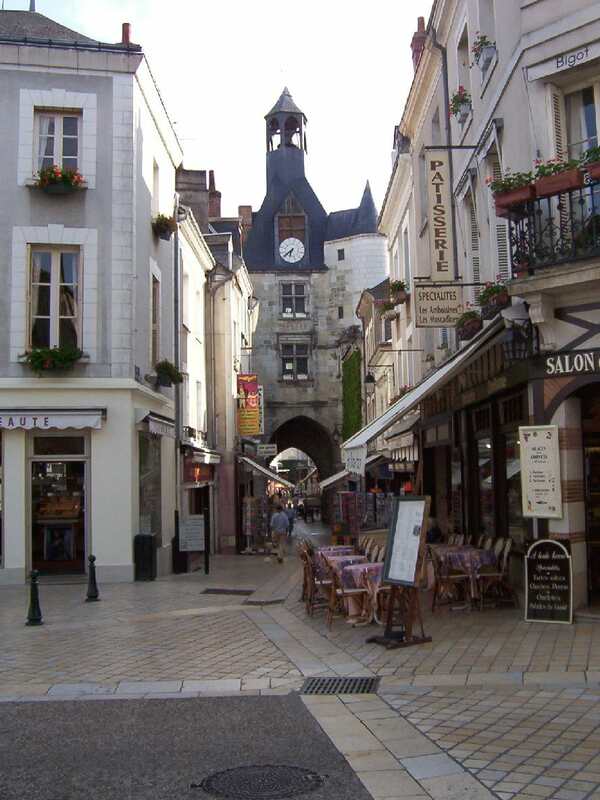 We couldn’t resist the temptation to stretch our legs by exploring the bustling retail district of Amboise, the charming town from which Château d’Amboise took its name. As we continued along a series of rural roads, I became fascinated by the rustic dwellings evident in many lazy villages through which we passed. 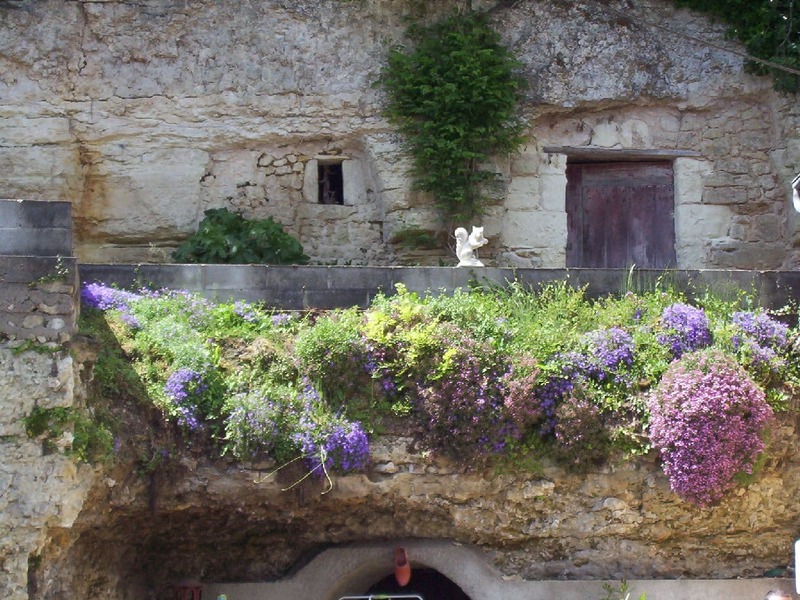 Hearkening back to the 11th century, caves that were once carved into the limestone cliffs for the purposes of harvesting building blocks were next domesticated by people looking for low-cost dwellings. The honey-coloured limestone lends a warm, homey appeal to their exterior elevations. 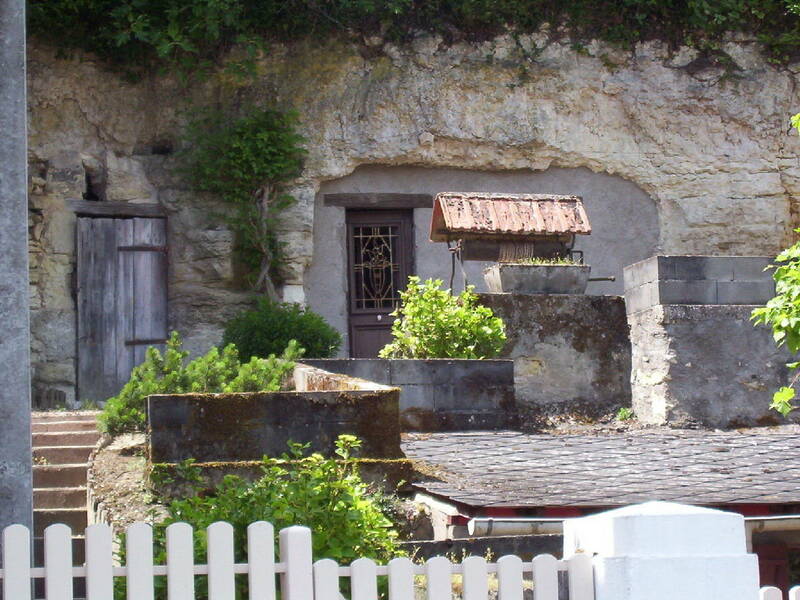 Officially known as Cave Homes, or Troglodyte Homes, many feature brightly-painted doors, whimsical details, and even chimneys that poke through the sod on top of the hills. This was very reminiscent of the ancient dwellings fashioned by Pueblo People in Colorado, U.S.A. and reminded me of the hobbit holes seen in Hobbiton, New Zealand. 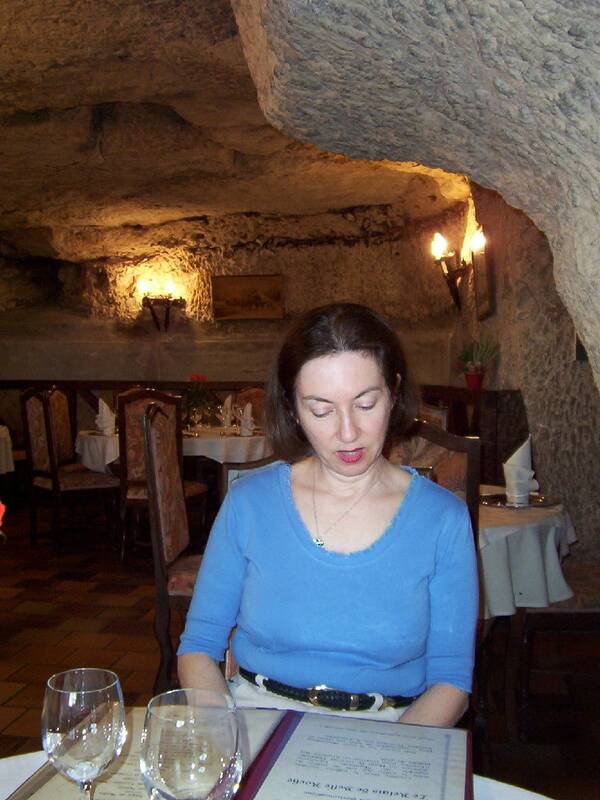 The most memorable dinner that we had in France was actually enjoyed a couple of days earlier at Côté Cave Restaurant where the interior space sprawled between a dozen connected caves. Côté Cave Restaurant was a short distance from our lodgings at Chateau Bourdaisiere, and to look at it from the outside, we never guessed how unique the experience was going to be. Each cozy cavern had an intimate atmosphere with yellow candlelight bouncing off of time-worn rocky surfaces. Over a sumptuous gourmet meal, we stretched the evening into the wee hours. 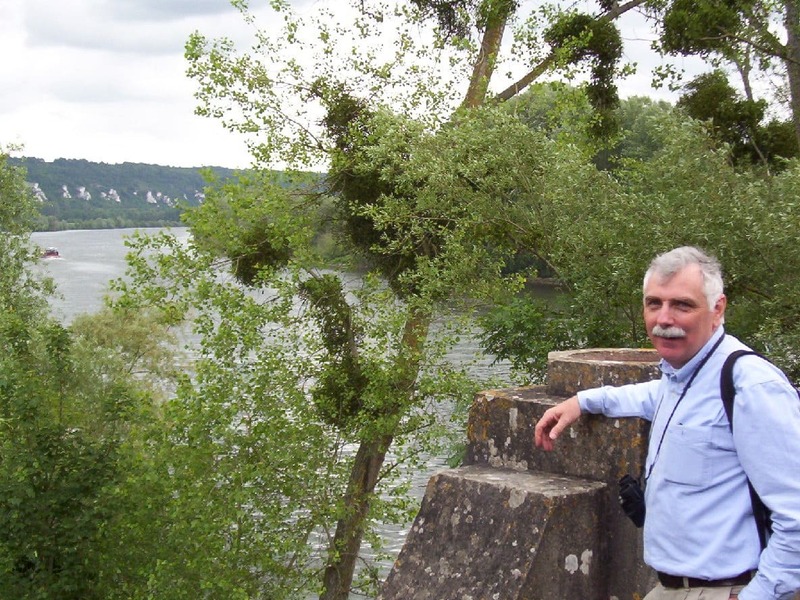 Two days later, with the Castles of the Loire River Valley a fond memory, Bob and I finally arrived back in Paris. After witnessing so much grandeur and history enroute, a leisurely stroll along the Seine River seemed the perfect way to unwind. It was magical. 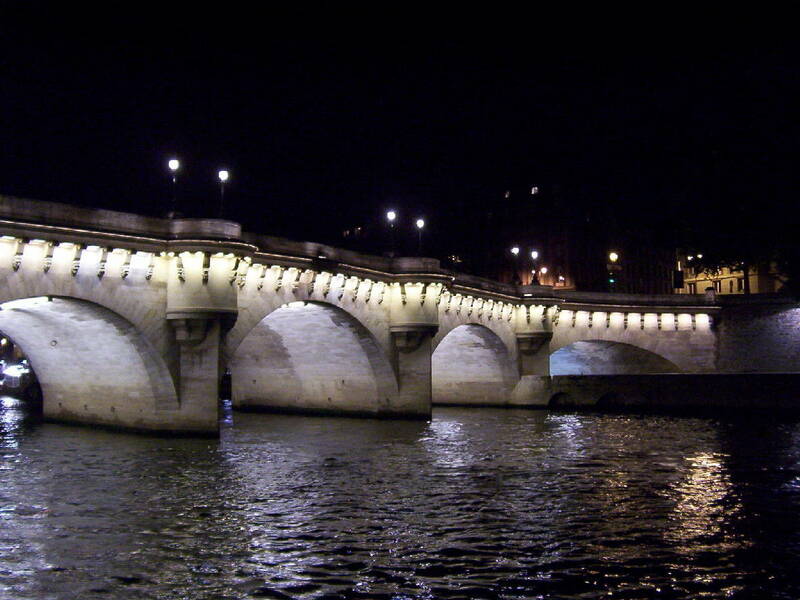 With Pont Neuf brightly illuminated, its white arches glowed against the inky blackness of the starlit sky and wavering watery reflections of the river itself. Bob and I were finally ready to call it a day knowing that we had seen Paris at its most seductive. Walking the quays on a balmy spring evening certainly epitomized one of the most romantic riverside walks in all of Europe.